Despite recent strides made in the study of Clean Coal Technology, environmentalists like President Obama still have their hearts set on getting America weaned away from energy derived from coal-fired power plants. This will be very tough and quite expensive to do, since almost 50% of our country's energy is derived from coal and nearly 90% of our energy reserves come from coal. No country can change that overnight. 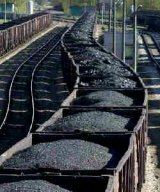 But President Obama keeps trying, making matters difficult for any coal company to get a new permit for mining in West Viginia and other coal-proucing states. One wonders if the President and his Environmental Protection Agency will ever get practical in the midst of their jihad on American coal. They don't have to like coal in order to appreciate its value to the country. Moreover, in the wake of the Japanese nuclear meltdown, which will not only affect that part of Japan but that nation's economy for years to come, we note a singular fact that should give the Obama Administration and their green friends pause: for all of the problems associated with coal mining over the years, we have never yet seen a coal site made uninhabited due to high radiation levels for 25+ miles in all directions like we have seen with nuclear plants at Fukushima and Chernobyl. Of course, we have to be careful to safeguard our miners at all costs, and we must reclaim coal lands after the mining is done. Everyone agrees with that in the 21st Century. But none of that compares to a nuclear power plant gone awry. Yet for all that environmental, economic, and humanitarian damage caused by a nuclear meltdown, we still seem to hear more arguments from the left against responsible coal mining than the far greater potential threat of more nuclear plants. We wonder why this is. Could it have something to do with West Virginia voting for Hillary Clinton and John McCain in 2008, rather than Barack Obama? Or are Obama and the left simply so used to seeing coal as their environmental boogeyman that they are blinded to far worse threats? Time will tell as we wait to see if Barack Obama gets a practical streak for a change. Trying to find wind, solar, or other forms of alternative energy may be worthy of exploration, but we are light years away from having them substitute for West Virginia coal. Our coal has not only seen us through our nation's wars: it has consistently provided inexpensive electricity to seniors, hospitals, nursing homes, and schools for decades. Any President who wants to preside over rolling blackouts with all the misery that would cause either has no conscience or hasn't done his homework. We hope it is the latter.